Plusnet is inviting some of its fibre broadband customers to try out its new YouView service before it launches to the public during 2014. The Yorkshire-based internet provider has in recent weeks been running a trial among staff; this has now been extended to include customers. Customers who want to take part in the trial need to be existing subscribers to the ISP's £19.99 Unlimited Fibre broadband service, have an HD TV and a suitable aerial for reception of Freeview channels. 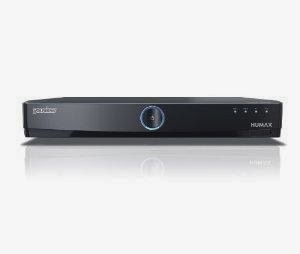 Selected customers will be given a Humax YouView box and any other essential equipment on loan for three months, at which point the box should either be returned or retained by opting in to the paid-for service (pricing still unknown). Plusnet's YouView service will include access to BT Sport 1, 2 and ESPN as well as entertainment channels including E!, Fox, SyFy and Universal, delivered via fibre broadband. Plusnet will become the third national ISP to offer YouView after BT and TalkTalk. YouView is a hybrid service combining Freeview channels through a regular TV aerial with services delivered via fibre broadband inserted between channels 400 and 599 on the Electronic Programme Guide (EPG). In addition, the EPG can be rolled back up to 7 days in the past to access catch up TV content from the BBC, ITV, Channel 4, Channel 5 and UKTV. The public launch date for Plusnet's YouView service is yet to be announced. I'm a Plusnet customer with my own Youview box. This morning all the BT 'bolt on' channels appeared in the epg. Related? Or something else? Interesting, let us know if anything else unexpected happens. When accessing said channels a message offering me to set up the channel (e.g. Watch or BT Sport) pops up. When I proceed it starts loading with the BT logo but an error message from BT loads instead. BT app also added to on demand players section today, have not tried this yet.